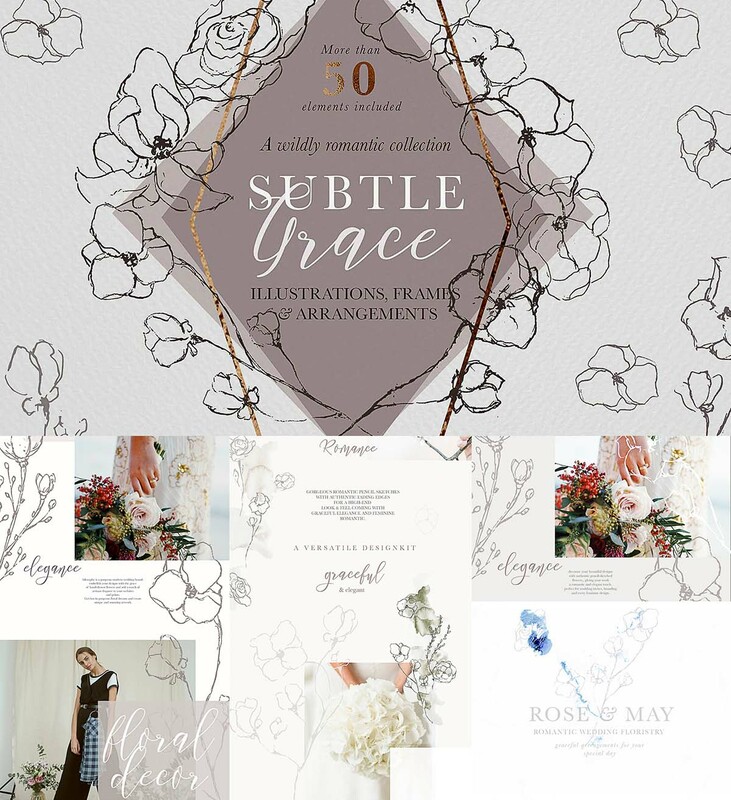 Set of 34 hand-drawn illustrations, 10 backgrounds and 10 pre-arrangements. All elements were created to make adding that touch of handmade elegance even easier: all illustrations were carefully digitized preserving the authentic, hand-sketched look & feel. 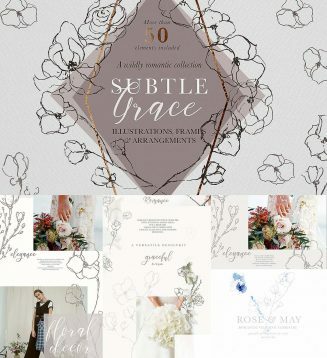 They perfectly combine with calligraphic fonts and are perfect for fine-art creations! Tags: arrangement, decorative elements, delicate, Elegant, floral pattern, grace, romantic, rose gold.